Abundant lighting from up above,without the fuss of ceiling suspension. 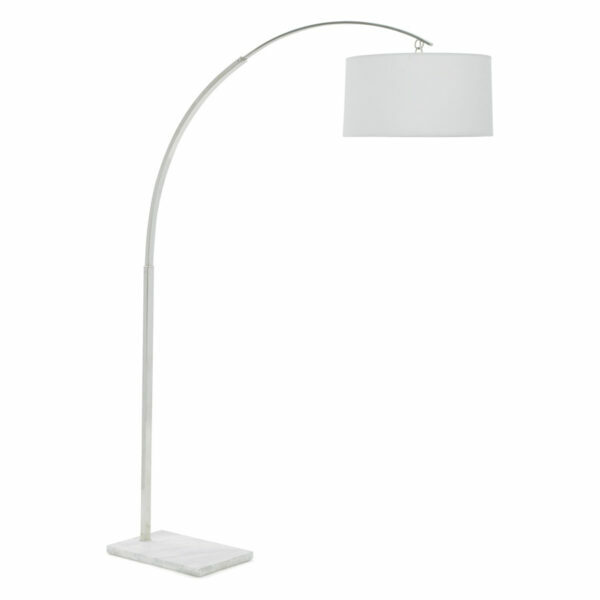 Modern design and function – this arc floor lamp lights up an entire room using minimal space. Great for lighting those hard to reach places. White carrera marble base and arching polished nickel stem are finished off by a round white linen shade.